Help avoid accidents. Match your equipment quickly with the tag's tear off stub. 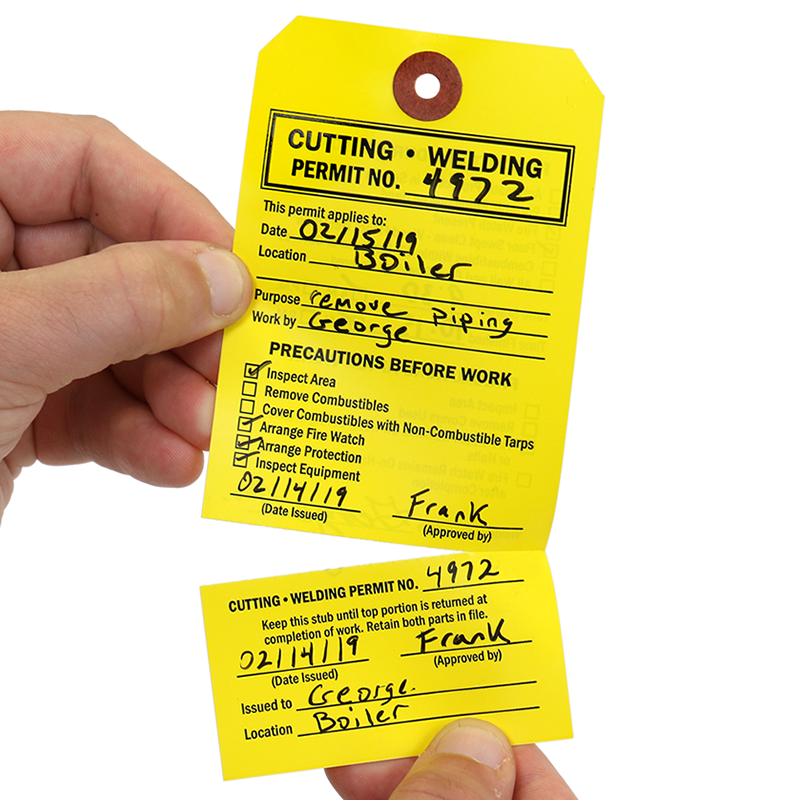 Write on it to easily identify your HOT WORK and welding permit number! 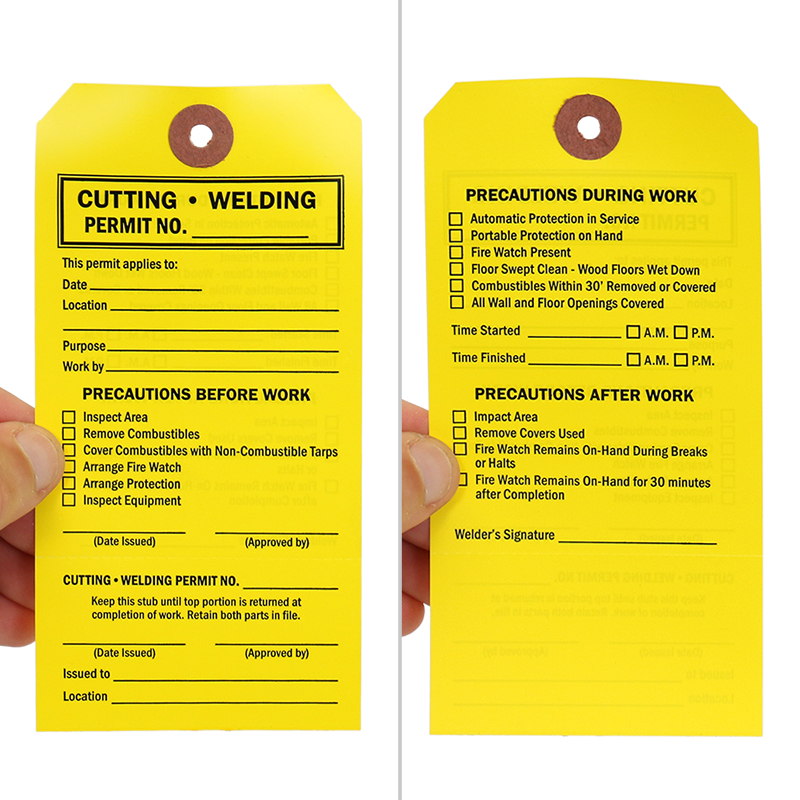 • Lockout Tags are perforated to tear-off as needed. 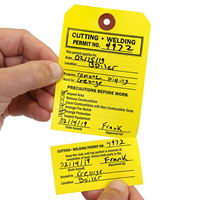 • Tags feature a tear-off stub. 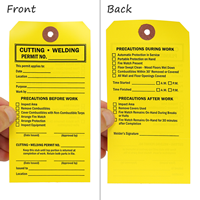 • Tags are printed on a cardstock and include a fiber-reinforced patch for extra strength. They are durable indoors. For outside use, order the optional vinyl tag holders. 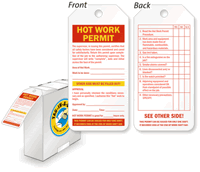 • Hefty tags are made from a polished 13pt cardstock. • Each tag and the corresponding tear-off stub is stamped with the same number. The batch of tags, however, is stamped sequentially. • Not recommended for outdoors.